For Sale in Chatham for £260,000. 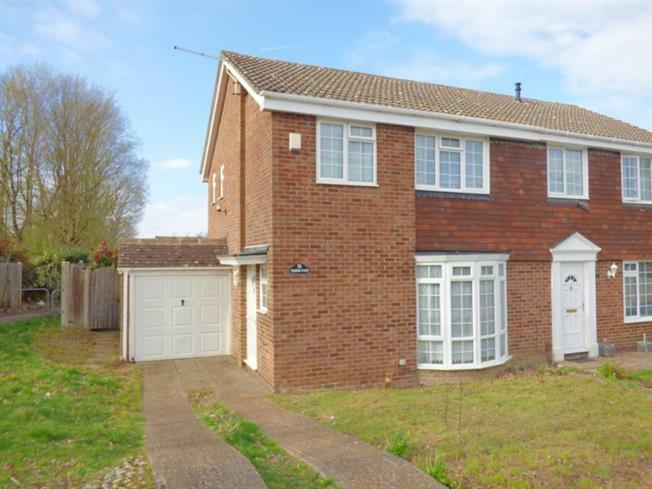 We are delighted to offer with vacant possesion in a very popular cul de sac location in Princes Park this three bed semi detatched house. There are three good size bedrooms with bathroom and seperate wc on the first floor, the ground floor is open and spacious with lounge and kitchen / dining area that opens onto a lovely rear garden, there is also a downstairs wc. Externally there is a driveway leading to garage with gardens to the front side and rear.